The Mission | how 'bout some cake? J and I love starting our day with casual breakfast dates, so today I want to invite you along to one of our favorite San Diego brunch spots, The Mission. It’s a short walk from where we live- only about three blocks. 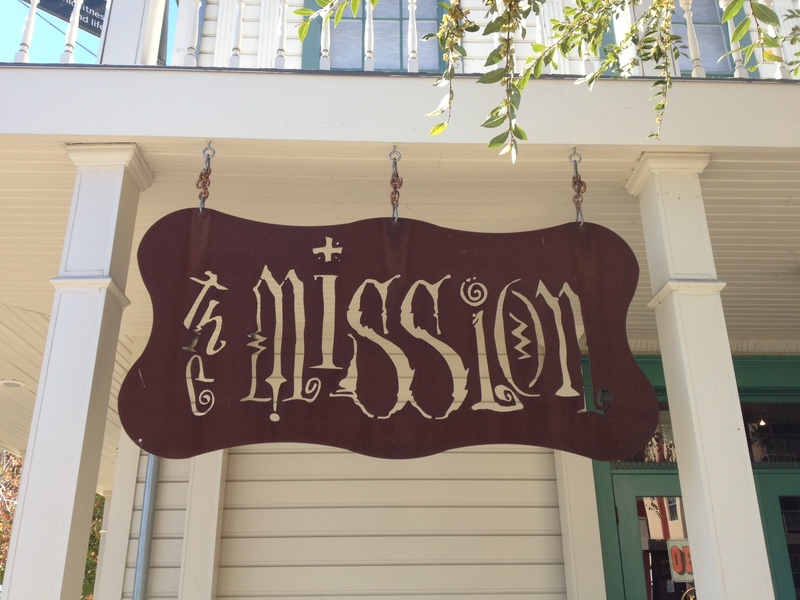 The Mission is in an old house with a yoga studio up top. We’ll enter past the coffee bar and be escorted to a little table to enjoy our meal. The server will greet us warmly and provide a long menu with any breakfast dish you can dream of. Order anything- nothing disappoints. 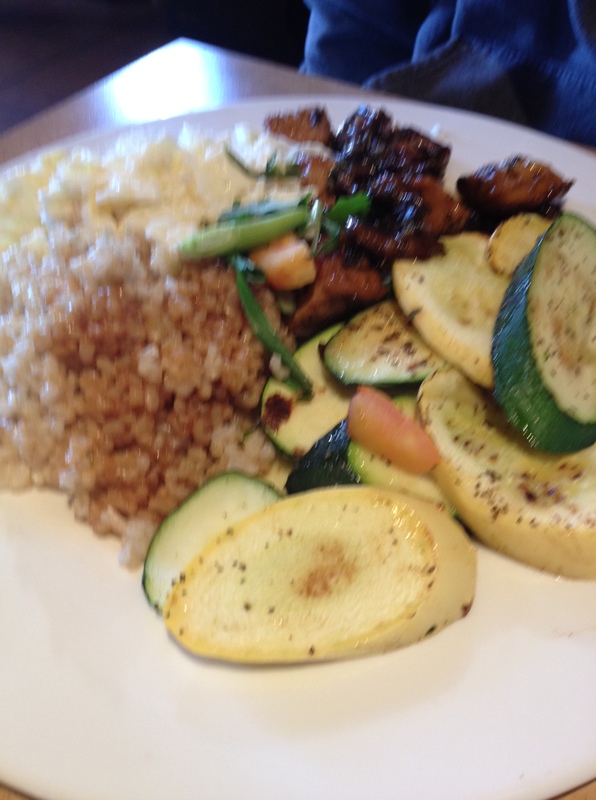 J’s favorite is the zen breakfast, which is a plate piled high with braised tofu, egg whites, veggies, and brown rice. He usually adds a big fluffy pancake, and I always steal a few bites. I love the zen breakfast, but my heart belongs to their soy chorizo breakfasts. I usually order the soy chorizo burrito which tastes so convincingly meaty that I can’t honestly tell the difference. We’ll leisurely enjoy our meal and chat about the day ahead. He’ll ask me about the blog, and I’ll ask him about his workouts and poker. We’ll talk about our upcoming trips and other miscellaneous plans. When his plate is clean and my belly is full, we’ll ask for the check and be on our way. It’s such a nice way to start the day and enjoy each other’s company before the day’s craziness sets in. Of course work and travel prevents this from being a daily ritual, but we strive to make it happen a couple of times a week. I don’t think it’ll ever get old. What small meaningful rituals do other couples have that keep them close? This entry was posted in Food & Recipes, Indulgences, Travel and tagged Restaurant Reviews, san diego restaurants, The Mission San Diego. Bookmark the permalink. You’re kidding me! 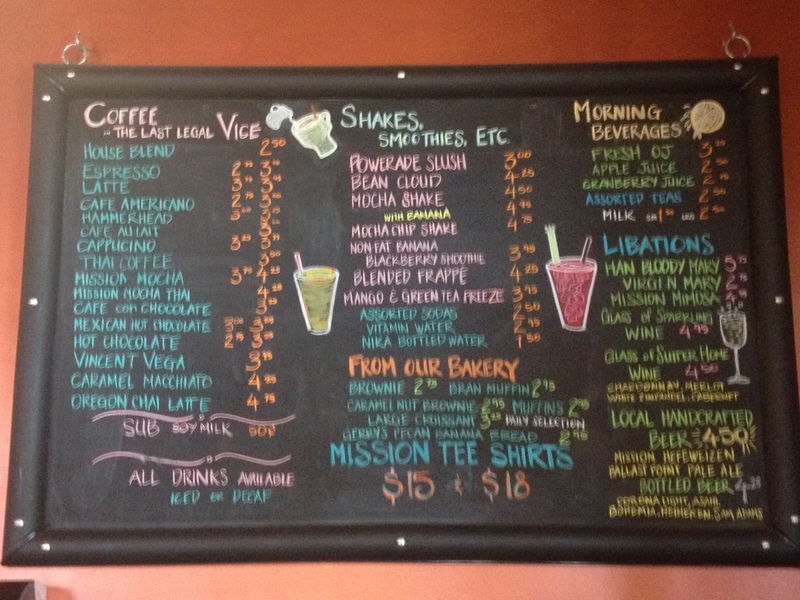 I used to work right next to the mission (teaching yoga at Crossfit East Village) and would stop there almost everyday for a latte or mocha. Enjoy a $5 mimosa for me! WOW! What a small world! Did you ever try Hale up top? I did, I had a membership there! Have you gone? Their green smoothies are delicious. No, but I’ve been dying to go! My best friend just returned from San Diego where she was visiting her boyfriend who is stationed there in the Navy. I’m going to send your recommendations her way! Grabbing breakfast is one of my favorite things to do…for some reason, it’s just one of those meals that feels extra-special when you grab it out (especially with a handsome guy!). 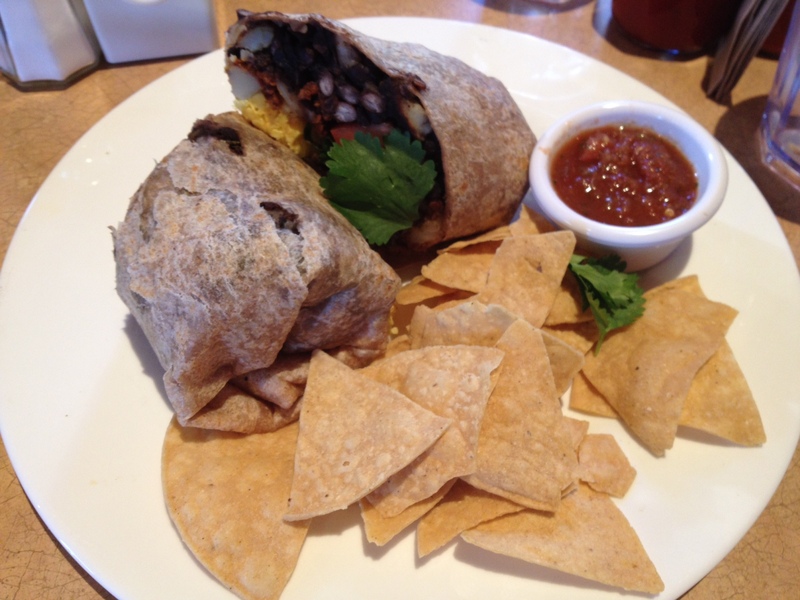 Your burrito looks AMAZING! I don’t go out for breakfast much with my boyfriend, but we do go out for dinner a lot. And this sounds stupid, but we LOVE buying the seasonal Hershey Kisses and trying them together. Who knew that have different flavors for each month/holiday? AMAZING pics:) your blog is great and Im now following you.